Prizes may be picked up Mon-Fri between the hours of 8:30am-5:00pm (except holidays) at 4 Church Street, Concord NH. Occasionally, the office will close early so we strongly suggest you call before coming to pick up a prize to ensure that we are open. Also, if it has been more than 30 days from the day you won the prize, please call to insure we still have it. 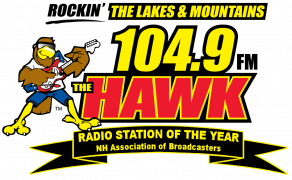 104.9 The Hawk is located at 4 Church St. in Concord, NH 03301. 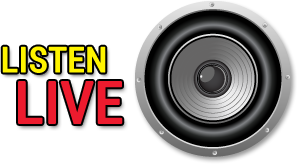 104.9 The Hawk is part of Lakes Media LLC.